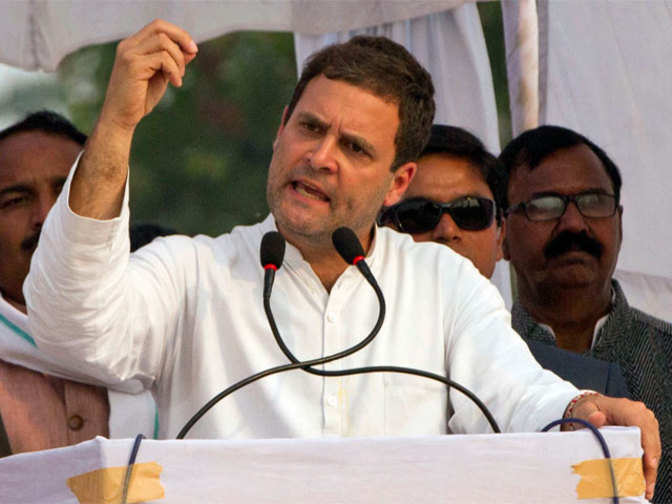 New Delhi, Dec 11: Newly-elected Congress president Rahul Gandhi today targeted Prime Minister Narendra Modi on the issue of corruption, saying he was waiting to hear from the latter on the issue. "The list is long," tweeted Gandhi, while referring to the alleged scams related to the Gujarat State Petroleum Corporation (GSPC), power companies, the metro project and Jay Shah, the son of BJP president Amit Shah. He also taunted Modi by calling him "maun-saheb" (the silent one). "PM is silent on GSPC, power-metro and Shah-zaada scams and is busy filling the coffers of friends. We seek answers from Maun-saheb. For whose good days had he formed the Government (sic)?," Gandhi tweeted. He also raised the issue of the Gujarat government's accountability by asking the prime minister, "Why did you sideline the Lokpal when you had promised to ensure an accountable government?" Gandhi raised these questions as part of his ongoing "one query a day" series, targeting the ruling BJP in Gujarat, the home state of Modi which has been under the saffron party's rule for 22 years. The first phase of the Gujarat Assembly polls was held on December, while the second and final phase is scheduled for December 14. The counting of votes will be taken up on December 18.